Stephen meets Abbie through Doctor-Date, a dating website. A romantic meal at Abbie's house soon unleashes a painful memory of a disturbed past. Stephen's date rapidly unfolds into his worst nightmare. 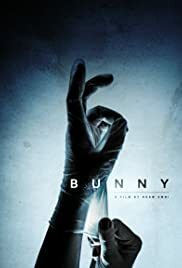 A disturbing psychological thriller, Bunny delivers an unforgettable tale and chilling climax. I just watched the movie. OMG what a disturbing good piece of craftsmanship! This movie is the whole package, from the very original script with small, cleaver things planted nicely for us in the audience to discover on the way, superb acting with tense dialog, nice moody crystal clear footage, the score and sound is pro quality, the editing and the production design world class. The movie is mostly crowd funded, and made on very tight budget, as I've been told, and that makes the achievement even bigger! Adam, and the rest of the staff behind this movie should hit the big cinema screens soon, with the talent proved by this movie! Just my humble amateurish review of a great film!